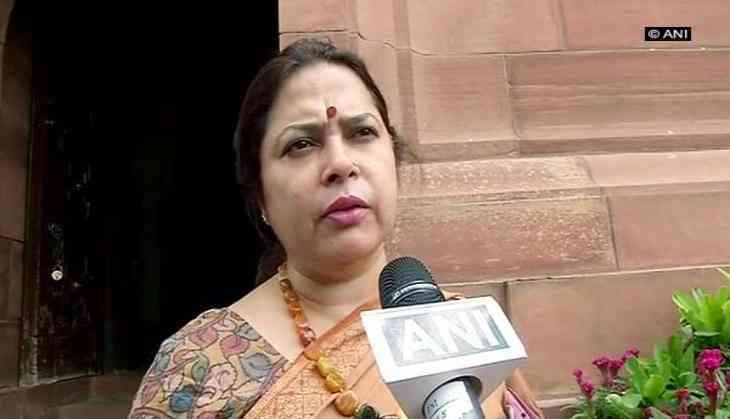 Bharatiya Janata Party (BJP) MP Meenakshi Lekhi on Friday took a jibe at Congress President Rahul Gandhi over his surprise visit to grandmother in Italy and said Karti Chidambaram's arrest has made the latter remember her. Lekhi took to Twitter and said "Very nice gesture, Karti's arrest ?? ???? ??? ???? ?? !" (Very nice gesture. Karti's arrest has reminded him of his grandmother). Lekhi's comment comes hours after Congress President took to Twitter and informed about his visit to his 93-year-old grandmother in Italy during the Holi weekend. Rahul's grandmother Paola Maino lives in Italy. Last year too, he celebrated his 47th birthday on June 19 with his grandmother.